Making the most of your grocery dollar is not just about buying as much as you can, but buying the most nutritious food that you can. Depending on your location that can be a tough ask. Too often the foods that are not just the cheapest but the most readily available are the ones doing more harm than good to your health and ultimately, your budget. 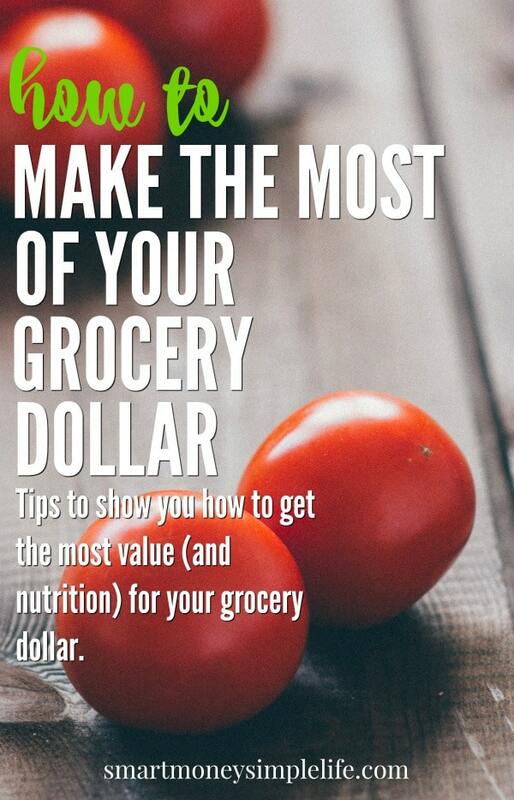 So, how do you get the most value (and nutrition) for your grocery dollar? Read on for some simple ideas to fill your family’s tummies and not break your grocery budget. Surf the net for a while and you’ll see plenty of articles, like this one espousing the virtues of quinoa, blueberries and salmon. I don’t know about your neighbourhood, but when blueberries are available in the store they sell for about $50 a kilo ($25 per pound). That’s completely out of the scope of my food budget! So how do you get value and nutrition that’s affordable and accessible? Try adding these foods to your shopping list. 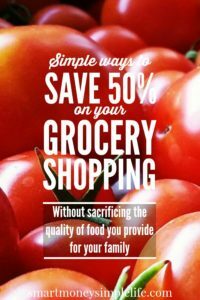 Click here to find out how I slashed my grocery bill by 50%. The same tips will work for you! Love them or hate them, it’s hard to deny their value when you’re looking to make the most of your grocery dollar. Beans are cheap, can be stored for a long time and are densely packed with nutrition. Plus, with all that fibre, they’re really filling, too. If you’re not already a lover of legumes, the best way to use beans is to add them to meat dishes. This has the twofold benefit of stretching your meat dollar further and introducing them to your family in a non threatening way. You can also add beans to soups, make burger patties or sprout them (green lentils and mung beans) to add to your salads. Yes, fresh is best, but how fresh is it really? Fresh isn’t best if those carrots have been in cold storage for the better part of a year. Generally, frozen vegetables and fruit travel straight from the farm to the factory to be snap frozen. This can mean better retention of nutrients that can disappear over time. Frozen fruit and vegetables will never compete for nutritional value against freshly picked local produce that’s been grown in rich soils but who has access to that? Not many of us. And, how expensive is it? Frozen vegetables are always a better option than no vegetables. So don’t be afraid to embrace the freezer and grab a bag or two of frozen veggies when you’re at the grocery store next. They’re good value for your grocery dollar and add valuable nutrition to your diet. Buying in bulk is a great way to add value to your grocery dollar. You can usually buy bulk goods at a considerable discount on the normal size packages. Rice, beans and flour are a few of the basics that are worth buying in bulk. Hint: Freezing these things for a minimum of 24 hours can stop any unwanted visitors appearing at a later date. Never buy anything in bulk just because it looks like a great deal. It has to be a great deal. Know your prices and know what you’ll use and how quickly before you buy. And, always check use by and best before dates before you make your purchase. When they’re in season, vegetables can be a lot cheaper than meat so load up your plate. Vegetables are also much more nutritious than refined foods like pasta or bread. 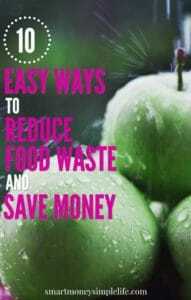 Click here to find out how to reduce food waste and save money. Food that goes to waste is money going to waste. If your grocery dollars are limited make sure none of them end up in the bin due to produce or meat or dairy going off or leftovers turning into a science experiment at the back of the fridge. Put leftovers into the fridge (if you plan on eating them tomorrow) or freezer immediately. Leftovers make excellent lunches for work or a meal when you’re short on time. The same thinking applies to your pantry. Make sure you rotate your stock correctly and always use a product before its use by or best before date. Have you actually allocated enough to your grocery budget? Can you spend less on entertainment in order to bolster the money you can spend on groceries? Living on a tight budget means you need to make sure you’re spending your hard earned dollars where they’ll give you the best value. I know the delight of a freshly cooked doughnut. I also know that delight is fleeting and not necessarily good for my waistline – OK, I admit, it’s really bad for my waistline. I also know it’s a want not a need. Good, nutritious food is definitely a need so make it your spending priority. Eating seasonally, making your meals from scratch and purchasing staples in bulk will make a huge contribution to getting excellent value from your grocery budget. Making sure you get as much nutritional bang for your buck with add value to your health and well-being, too. And, in the long run, it could save considerable money on health care costs. You know the saying, an apple a day keeps the doctor away! What other things have you done to add more nutrition to your diet without necessarily spending more on your grocery shopping? Let us know in the comments.